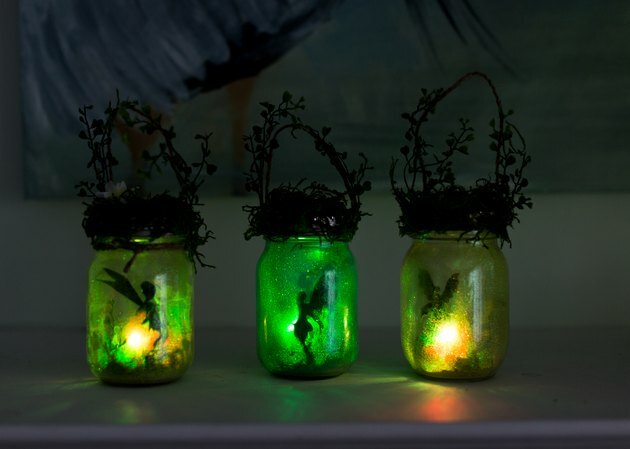 These charming fairy lanterns are not only easy to make, but look adorable in a garden or when used as a night light. They'll be sure to spark your child's imagination. 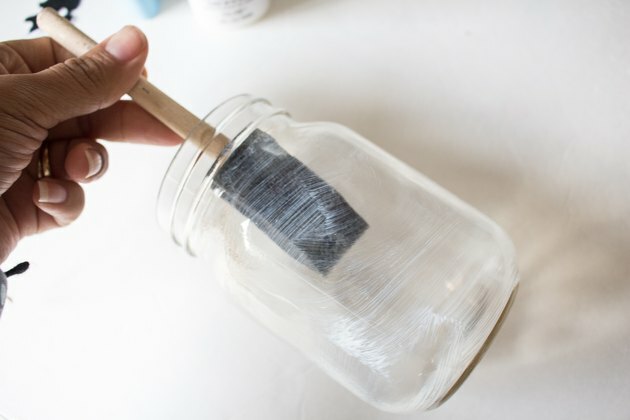 Using a foam brush, spread a thin layer of white glue inside a clean jar. 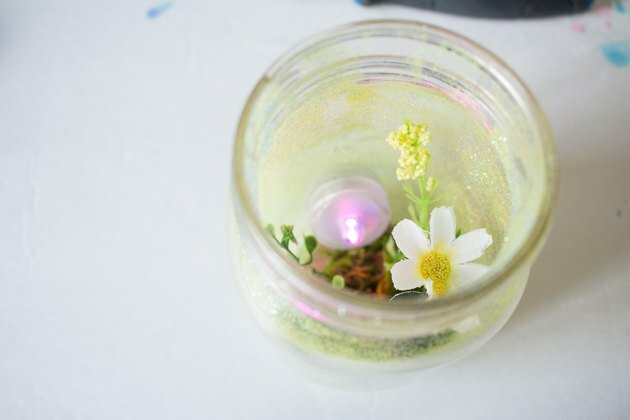 Prior to the glue hardening, pour some fine glitter inside the jar. 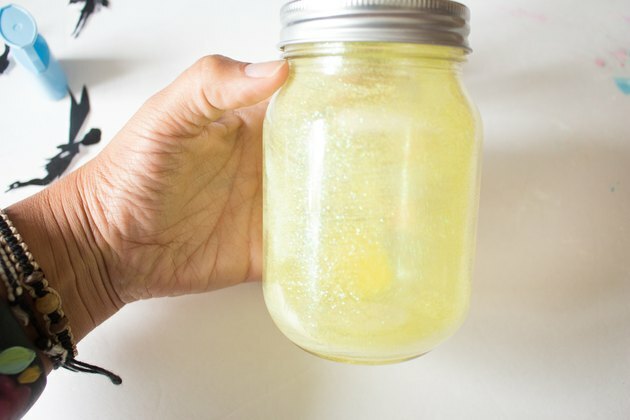 Close the lid and shake the jar so that the glitter adheres to the glue. 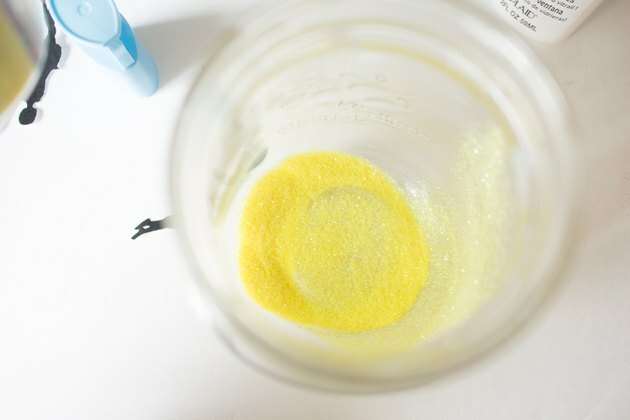 Discard remaining glitter and allow glue to dry. 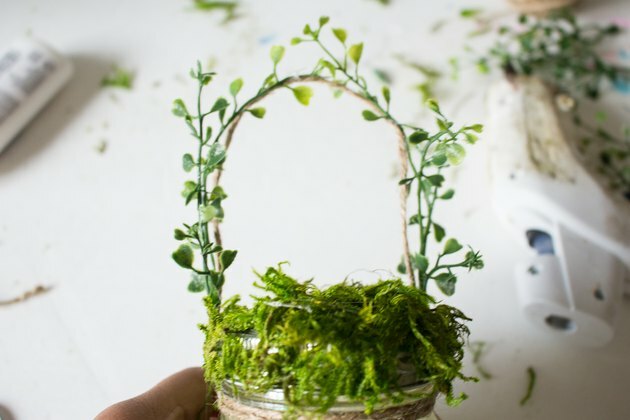 Cut a piece of cardboard to fit inside the opening of the jar and sit on the base of the jar. Trim various pieces of faux plants and flowers. 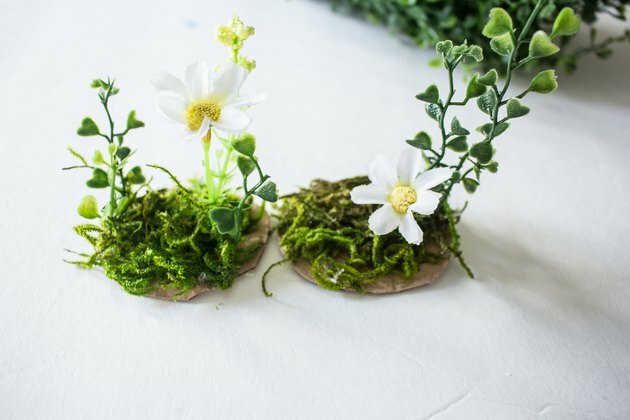 Hot glue moss and plants onto cardboard. 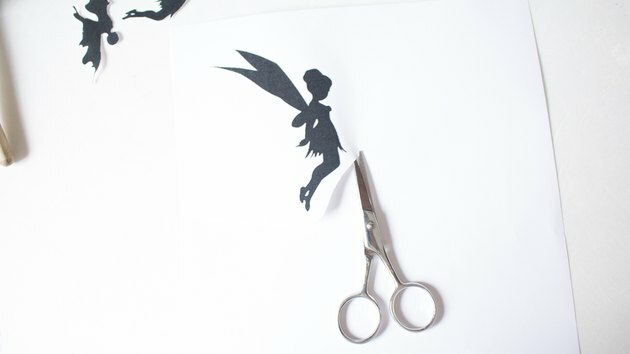 Cut out the silhouette of a fairy. 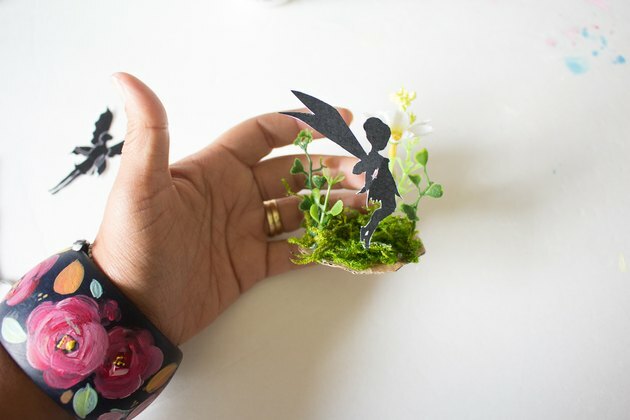 You can find a variety of free fairy silhouettes online. Hot glue the fairy to cardboard, ensuring you place it as close to the edge as possible. 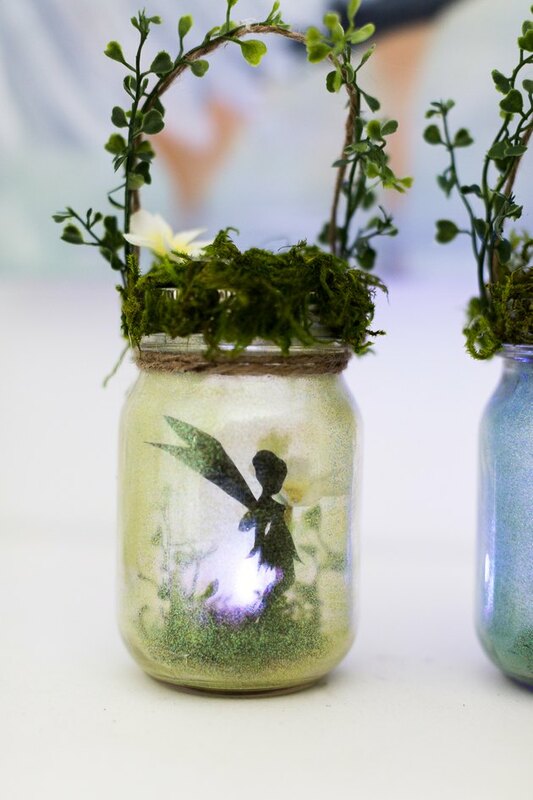 Insert the cardboard and fairy into jar. Make a loop with jute rope and attach it to the lid using hot glue. 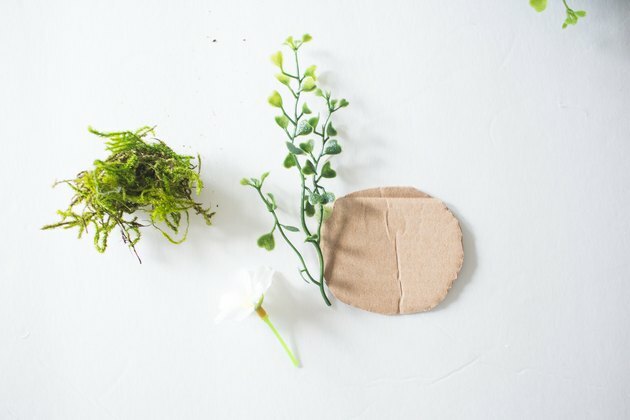 At this time, you can also glue some moss. 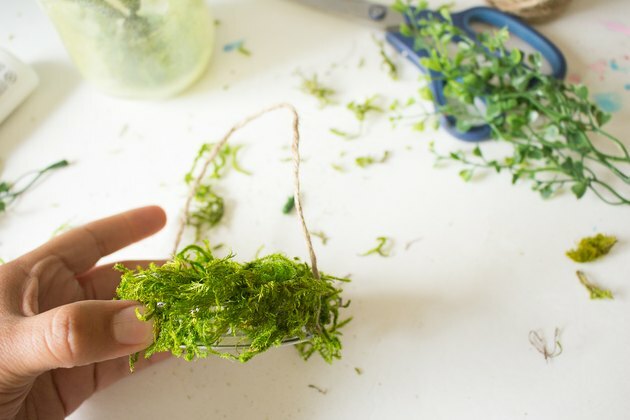 Glue some artificial vine onto the jute rope if desired. 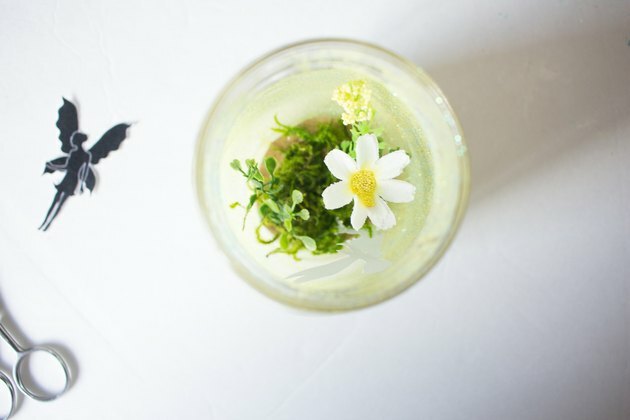 Place a flameless candle into the jar. Secure the lid in place and enjoy!